Hi, my name is Harvey. I’m a wild huckleberry. much like where you probably live. Sure, we were not the largest huckleberries on the hill — maybe not even the sweetest — but we lived in harmony with the mosquitoes, and occasionally shared a meal with a black bear or jay. One day, when I was a teenager, and nearing the prime of my life, a group of purple-fingered bandits came through our community patch, and kidnapped us — my entire family, and ALL of my kinfolk! I think only my sister Henrietta was spared, by jumping from a fumble-fingered bandit, then hiding in the grass. We were then dumped, unceremoniously, into a large, stifling box, moved by car to a holding facility, and nearly drowned in ice water, where we were stripped of our green, leafy wardrobe. Then they threw us into tiny cells in a facility with NO HEATING or oxygen! I choked and shivered for DAYS. Then they started coming to get us… slowly at first, then in buckets. The first tale of abuse, came from smothering in bat­ter, and dropping onto hot oil, while those heartless bandits laughed and cheered in anticipation of our de­mise. Then, victims were rolled in sweet white sand, and BOILED, before dislocation to glass cells. Others were forced to desegregate, and share living quarters with granola, flour, popcorn, apples, jalapenos, honey, ginger, poppyseeds, fruit juices, and even… our poor tasteless cousin, the blueberry! Gasp! Some of my closest cousins were boiled in acid, and labeled as lemonade or dressing. Many of us were pulverized, and smashed into confections. I still have nightmares of those grinning little bug-eyed bandits with purple slobber drooling off their chins, while chew­ing on my friends, and making horrifying “ummm” sounds. On my dad’s side of the family, many were suffo­cated in various colors of chocolate, and wrapped in a cold, aluminum blankets. Some were CAFFEINATED, in tea or coffee, and forced to lay awake for weeks. This can’t continue… I MUST find a way to escape. Oh, oh! Looks like Harvey got himself into a jam. (Excuse the pun.) Hopefully, he will not be back, to share his tale of abuse in someone’s digestive tract. To enjoy the further adventures of Harvey, please stop by our store www.TastesofIdaho.com and turn wild huckleberries into a key part of your gift giving and get-togethers. 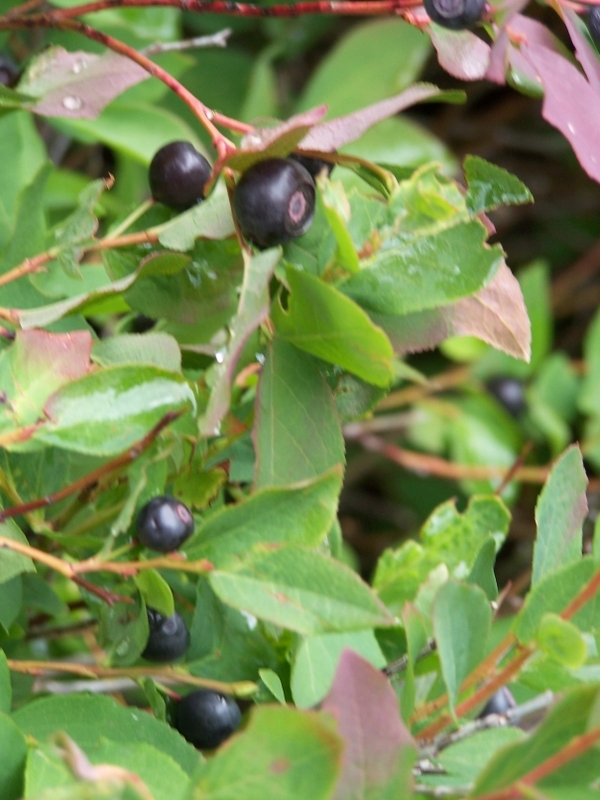 After all, wild huckleberries are the IDAHO STATE FRUIT. Don’t get to Christmas without huckleberries in your holiday! Huckleberry Goodies for the Holiday … or whenever! Huckleberry picking season is over (the snow is already flying in north Idaho! *sigh*). But I know there are lots of you who wanted huckleberries, but didn’t get any this year! Don’t despair as I have an alternative for you! Tastes of Idaho has received a large inventory of huckleberry products — and will continue to add more products to the website over the next weeks. If you have never tried ‘commercial’ huckleberry products (most products on the site are handmade, in small batches, the ole’ fashion way), you will be pleasantly surprised at how good they really are!! And as the website name implies, all the products listed (including a few non-huckleberry items) are made in Idaho! Huckleberry Cordials – dark or milk chocolate! Of course, we also carry a variety of huckleberry jams and syrups. And more products, like huckleberry pancake and dessert mixes, will be arriving soon. If you love huckleberries and would like to give some products as gifts, you can order a “Build Your Own Huckleberry Basket”! Pick you favorite items, add a basket and shred, and your gift can be shipped to anyone in the US! What more can you ask for? NOTE: I will be sending out another post when the rest of the products arrive in the warehouse! The era of wedding cakes with two plastic figurines standing on top of them is a thing of the past. Wedding cake designs as of late, integrate the practice of infusing traditionally-tiered wedding cakes with fruits. For example, Prince William and Duchess Kate Middleton had an 8-tiered fruit cake with a stunning white icing. On the other hand, American film producer Kyle Newman and White Chicks star Jaime King served a three-tier berry and coconut cake ornamented with roses. Fruits are in and since we advocate huckleberries for their health benefits, we suggest choosing them as an ingredient to give your wedding cake a nutritious and flavorful twist. Before you begin thinking about your cake’s contents and design, you should first decide on how many layers it would have. 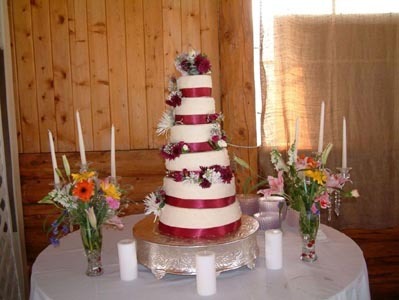 A basic three-tiered wedding cake can accommodate around 100 people. In addition, you should take into consideration the diet of your wedding guests. For example, the M&S Wedding Cake section includes the complete ingredients of each cake and indicates whether a cake is gluten-free or safe for vegetarians to eat. Nuts are common allergens so you should consider serving nut-free cakes as well. Wedding cakes can push healthy limits for sugar content, if you’re not careful in choosing the ingredients. Fruits and berries add more natural sweetness, and are more easily metabolized and digested than their processed counterparts. Huckleberries are also loaded with levels of anti-oxidants that exceed even blueberries… and with a much richer flavor when used in concert with traditional wedding cake sweeteners. Available fresh in season, or frozen year round, huckleberries make a unique and healthy alternative to traditional wedding cake fare. Putting huckleberry filling on top of your cake is also great idea. If you think putting fresh huckleberries on top of your wedding cake is too simple, you may replace them with huckleberry jam. To get an idea on how it tastes like on cake, you may check out the site’s free huckleberry recipes section for easy tips on how to make your own. To elevate the visual appearance of cakes, they are decorated with floral arrangements. If you decide to decorate your wedding cake with flowers, make sure to use colors that match it. Huckleberries have a natural deep purple color but some can be a bit bluish. Purple flowers such as Orchids and Calla Lily compliment huckleberries’ natural colors. If they’re bluish, blue tinted roses or blue daisies are suggested. Remember, a great wedding cake is all about details and decoration. By choosing the right tier, ingredients, and complimenting colors, you will have the perfect wedding cake on your special day. Nothing beats huckleberry chocolates, but during the hot summers …. well, chocolate is just not a good thing to pack or take on a trip! But for those who love trail mix, Wildbeary has developed a Huckleberry Snack Mix. In case you are not familiar with sugar-infused huckleberries, they are fresh picked huckleberries, soaked in a sugar solution and dried slightly to resemble a huckleberry ‘raisin’ — the closest thing to a fresh shelf stable huckleberry. And if you are concerned with the chocolate covered sunflower seeds, they can withstand a great deal of heat before they melt. All in all, this product is perfect for summer day snacks. Where can you order these? Just check out our Tastes of Idaho site for Wildbeary Huckleberry Snack Mix. While you are there, check out some of our other huckleberry goodies! Also as you know, huckleberry season is just around the corner. If you have not already ordered your huckleberry picking rake, make sure to check them out as well — we have several in stock right now, but they sell out fast this time of the year!! My very favorite huckleberry product is Huckleberry BBQ Sauce. And not just any Huckleberry BBQ sauce, but Gem Berry Huckleberry BBQ sauce. I have tasted a few different HB sauces, but none as good as Gem Berry’s thick tasty BBQ Sauce!! to die for!! Made in small batches and mixed with small amounts of blueberries, this particular huckleberry sauce makes a wonderful glaze for any types of meat where you would usually serve with BBQ sauce. The first time I tastes Gem Berry’s Huckleberry BBQ Sauce I fell in love with it. The chef used this tangy sauce to cook with meatballs. Personally, I am not a big meatball fan, but I went back for seconds on this dish. When I bought some of my own, I used it as a dipping sauce — the thick sweet and sour sauce tasted wonderful on chicken and pork. My husband told me it was even good on fish. If you are looking for a wonderful BBQ sauce taste experience, I would highly recommend Gem Berry’s Huckleberry BBQ Sauce. Amble 16 oz. bottle is reasonably priced. If you are interested in trying the Gem Berry Huckleberry Spread, you can find it on the Gem Berry website. Since we are all waiting impatiently for huckleberry season, I thought I’d share some of my favorite huckleberry products with you ….. Huckleberry Spread. Gem Berry has created a NO SUGAR ADDED huckleberry spread for those who desire flavor but cannot tolerate sugar. The key to their Huckleberry Spread is the sweetener, Lycasin*, which is a colorless, odorless, clear syrup with organic and mineral purity. Lycasin has a pleasant, sweet taste with no after taste. Diabetics may find this NO SUGAR ADDED spread useful in their diets. During the years I sold this product to retail stores, many store buyers/managers told me that the Gem Berry Huckleberry Spread was one of their most popular products. They told me that the concentration of huckleberries (without the added white sugar) in the spread was much higher and thicker, making this more of a preserve rather than a jam or spread. *Note: Lycasin is the trade name for Maltisorb (Crystalline Maltitol) and is a corn derivative. Each year, several lucky beekeepers in an approximately 50 mile radius of Fayetteville find something special in their bee hives – blue honey. How the honey is made is still a mystery, but those who find it are usually buzzing with excitement. I’m looking for a most wonderful tea from my past. Back in the 90’s I ordered tea that came in tea bags individually wrapped in a bright fuschia/pink foil wrapper from a company called Mission Mountain Meadows. The business was run/owned by a Natascha Hagner in St Ignatius according to Montana archives online. The tea might have been called WILD Huckleberry tea. She also sold pink huckleberry (white chocolate) candy bars and honey, among other products. I would be so happy if I could somehow get it again before I start trying new huckleberry teas. Maybe this Natascha or the new business owner is a part of a Huckleberry association such as this and I partly joined in hopes of posting something to lots of people to find someone who might have known her or the tea/company. One may email me at seniorita32@yahoo.com. Thank you. You are currently browsing the archives for the Huckleberry Gourmet Foods category. 124 mySQL queries in 0.957 seconds.